Fishing will destroy the last intact marine ecosystem on Earth. As the last intact marine ecosystem on Earth, the Ross Sea is a living laboratory that provides scientists an opportunity to understand how a healthy, intact marine ecosystem functions. 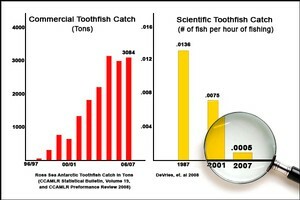 Commercial fishing has already interfered with research. Scientists who've studied toothfish at McMurdo Sound since the early 1970s used to easily catch several hundred fish each season. Now they can’t catch anything, halting almost four decades of toothfish research. Fishing undermines the spirit of the Antarctic Treaty. The Antarctic Treaty ensured comprehensive conservation of the Antarctic environment and set aside the continent as a scientific reserve. 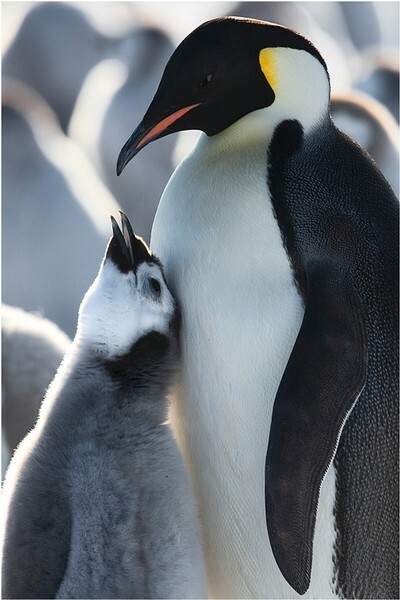 While the CCAMLR convention allows for rational use of marine resources, Nations competing for the commercial exploitation of a key member of the Ross Sea's remarkable ecosystem undermines the spirit of the Antarctic Treaty. Insufficient knowledge about Antarctic toothfish. Scientists have only begun to unravel the complex life history of the Antarctic toothfish and what role they play in the ecosystem. No one knows when and where exactly they spawn. As of yet, no one has found an egg or larval toothfish. As a result, management is largely based on guesswork. Toothfish are vulnerable to overfishing. Antarctic toothfish can live up to fifty years, grow relatively slowly and reproduce late in life. These characteristics make them highly vulnerable to overfishing. At the same time, the fishers target the largest and oldest individuals which are likely to be the greatest breeders. 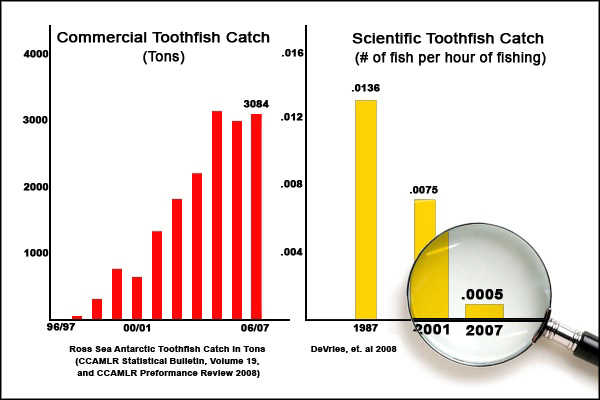 Fishery impacts on the ecosystem. All over the world, removing top predatory fish has caused ecosystem-wide trophic cascades, changing marine ecosystems in dramatic, irreversible and unexpected ways. Scientists have already observed declines in Ross Sea killer whales, which prey heavily on Antarctic toothfish. State of the world's oceans. Numerous studies show that the state of the world's oceans are in severe decline. We have consumed around 90 percent of the large predatory fish and we are now pushing into the furthest corners to find more. In the face of this, places of rich biodiversity like the Ross Sea become even more valuable to the health and well-being of the greater oceans and planet. Small financial gain comes at huge natural cost. Only a comparatively small percentage of the world population is wealthy enough to afford the premium prices of Antarctic toothfish and only a few countries send boats to fish for them. In New Zealand, the three companies involved generate around $20 – 30 million per annum. This figure is minuscule when compared to the huge natural cost of losing Earth's last intact marine ecosystem. Jackson JBC (2008) Ecological extinction and evolution in the brave new ocean. Proceedings of the National Academy of Sciences 105: 11458 – 11465. Ainley et al (2010) An apparent decrease in the prevalence of "Ross Sea killer whales" in the southern Ross Sea. Aquatic Mammals 35: 335-47. Myers and Worm (2003) Rapid worldwide depletion of predatory fish communities. Nature 423: 280-3. As exploitation of the fishery has increased, scientists based at McMurdo have struggled to catch toothfish for their research.© John Weller. Removing Antarctic toothfish will affect every member of the Ross Sea food web either directly or indirectly.© John Weller.